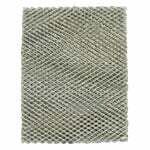 American Standard humidifier filters keep your humidified air clean. 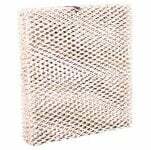 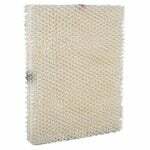 The American Standard BAYPAD02A1310A Metal Filter is the correct replacement evaporator pad for American Standard HUMD300A, 300T and 500A Humidifier systems, and it measures 10" x 13 1/4" x 1 1/2" (approximately). 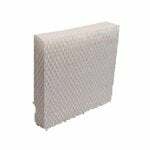 The American Standard BAYPAD02A1310A is the compatible replacement for the following humidifiers: American Standard HUMD300A Furnace Humidifier, American Standard HUMD300T Furnace Humidifier, American Standard HUMD500A Furnace Humidifier.